Apart from academics , the school aims at holistic development of children, where they develop quizzing skills, oratory skills, boosting their self-confidence, removing stage-fear, etc. 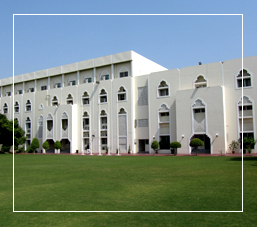 For this purpose, the school has been divided into four Houses, named after historically famous cities of the Sultanate of Oman. They are Muscat House, Nizwa House, Sohar House, and Sur House. The students of classes 6 to 12 have been grouped into these four houses. The co-curricular and sports events are conducted inter house in order to ensure participation of maximum number of children and to encourage a healthy competition between the house. Each house is headed by a House Master and House Mistress. They are ably supported by a Vice House Master and Vice House Mistress. All the houses have been balanced with teachers from departments of English, Math, Science, Social Science and languages so as to train the children for the various competitions.